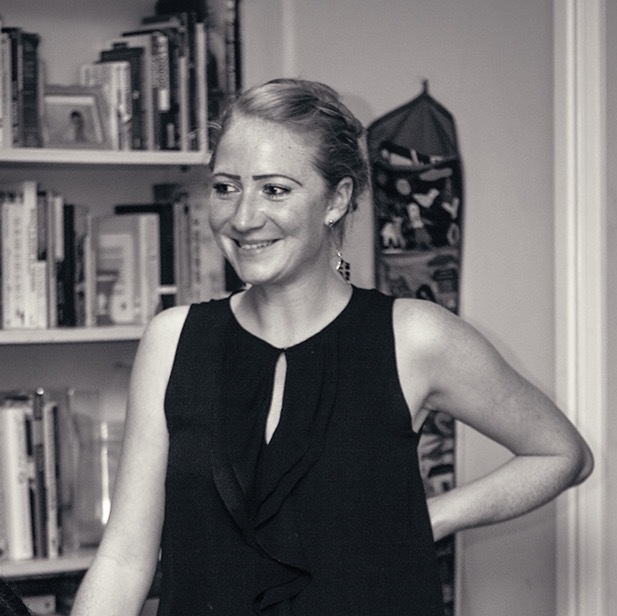 I think it's pretty obvious that I love my food, and I'm not a fussy eater, so will happily munch on Mexican, Japanese, Italian, African and all sorts of food, though I do have my preferences, and dim sum is pretty high up the list. I just love the little nuggets of fillings encased in their different "shells". Slow cooked pork puffs, light and airy buns, and steamed dumplings - there's so much to choose from at a good dim sum restaurant. 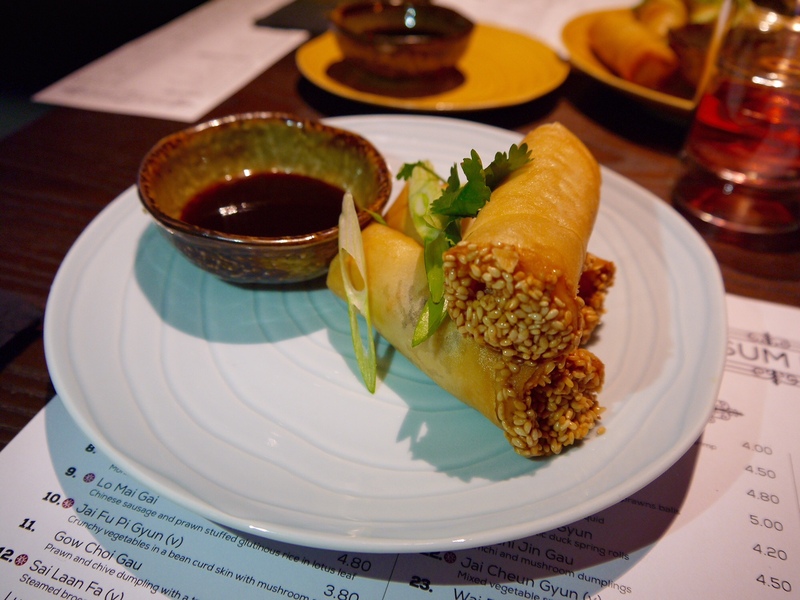 So last week, off we went to try out Clapham's new dim sum spot, Fu Manchu. Set under a railway arch it's a cool space that's selling itself as not only a dim sum restaurant, but a cocktail bar that becomes more clubby at the weekends, and is open til 3am. We were definitely there for dim sum not dancing so rocked up at a reasonable hour on a Tuesday, and although it was pretty empty when we arrived it soon started to fill up with dim sum hungry diners. Drinks for the evening were the Lin Tang's Szechuan Sling for me - a gorgeous cocktail that was Dr Fu Manchu's daughter's favourite tipple, made with homemade Szechuan pepper shrub, Finlandia mango vodka, yellow Chartreuse, mango juice and soda water - refreshing with a bit of a spicy kick, and a really good sized drink. The boy started with the Lucky Buddha beer, which came in such a brilliant bottle - a fat green glass Buddha. He then moved on to the organic jade sword tea, as he was driving, which was apparently delicious, and presented with a sugar timer to let you know when the brewing was done and it was ready to drink. I loved all the cute little touches like this that added to the great experience we had, along with the great service. For food they recommend that you choose 1 fried item, 1 baked, 2 steamed and 1 salad per person, so that's what we did. 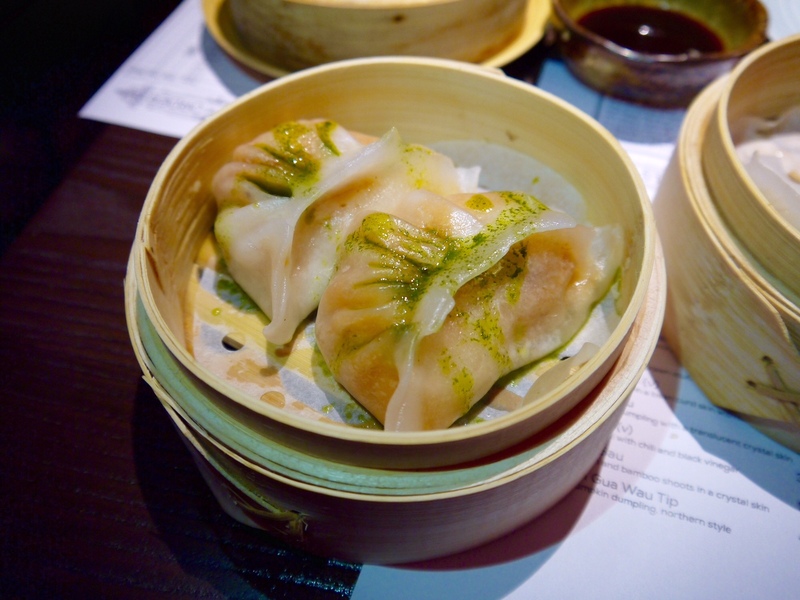 I absolutely loved the dim sum and though the salads weren't bad, I think the dim sum's a lot better, so maybe skip the greenery and go straight for the little parcels. We had Nap Cheun Gyun - crispy aromatic duck spring rolls, and Jai Cheun Gyun - mixed vegetable spring rolls. Both were large portions and absolutely delicious, with a thin, crisp roll, stuffed full of delicious duck/vegetables. For salads we chose the hot and sour rare beef and broccoli, which was nice, but just didn't pack a flavour punch, though we preferred this to the crispy duck, orange and Chinese leaf, which wasn't to our taste. Apologies as well for not having photos of each dish - the lighting is moody and great for a meal and/or cocktails, though really not good for taking photos! Bright flash lights from my camera made huge shadows all over the place, so I've picked the best of a bad bunch! One of my favourite dim sum is Cha Sui Su - honey barbecue pork puffs. These lived up to expectations, filled with pulled pork and cased in flaky pastry, they were so good I convinced the boy to let me have my one and half of his. Next we moved on to bamboo tiers of steamed dim sum. These were all lovely, with the skins being nice and thin and the fillings plentiful. We had Gow Choi Gau - prawn and chive which were fresh and summery, Xiao Long Bao - pork and crab sauced dumplings, a really nice flavour combination which held their sauce until we bit into them, and Lung Har Gau - pictured below - lobster, prawns and bamboo shoots in a crystal skin. There were my favourite of the steamed items, and they were huge! I had slight trouble balancing them between my chopsticks as they were definitely more than one mouthful!! Last of the savoury dishes was another winner - Cha Sui Bao - honeyed barbecue pork in a fluffy bun, that tasted like eating a cloud, until we reached the rich, meaty filling. 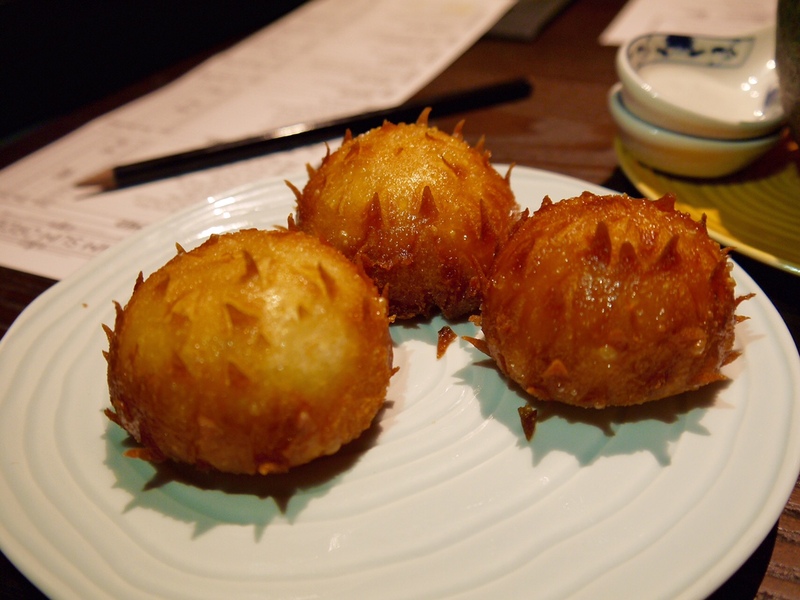 I haven't had these before in a dim sum restaurant but will be sure to order them again next time we're at Fu Manchu. 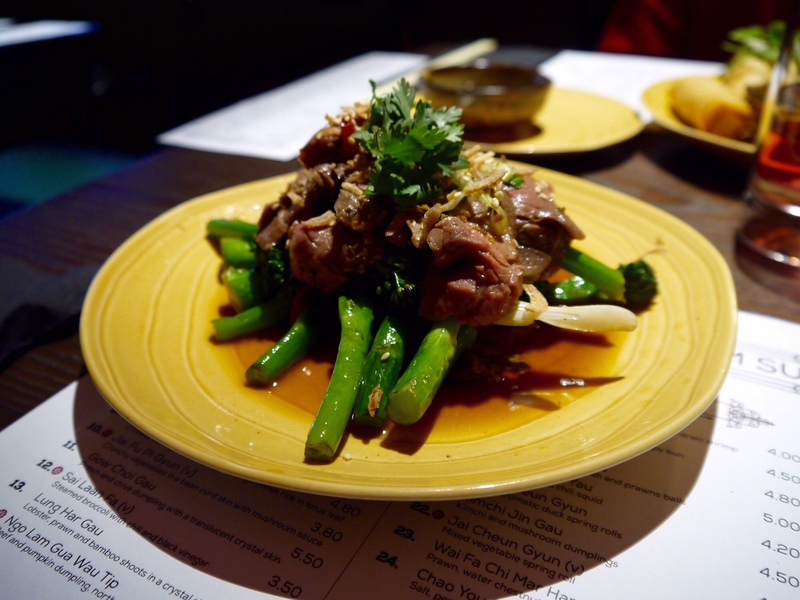 I imagine we will be back to Fu Manchu regularly, not only because the dim sum is excellent, but it's also a 5 minute walk from my brother's house, and is a great restaurant to eat at with family and friends - order a whole load of dishes and share them between you. Once again, we had our arms twisted into ordering pudding. Out of pure curiosity I chose Jai Lai Wong Bao - crispy custard buns that looked like little hedgehogs and tasted like heaven. Sweet and sticky inside with a crunchy, spiky outside they were delicious and such fun to eat. The boy had mango and coconut sorbets and yoghurt ice cream, and paired with my custardy hedgehogs it was the perfect end to a lovely meal. 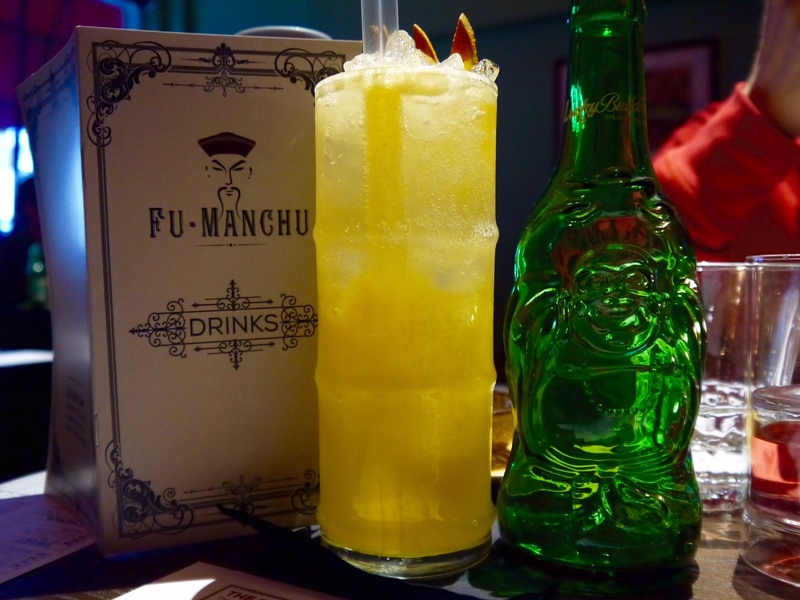 All details for Fu Manchu can we found on their website here. They're in Clapham North and have launched an all you can eat Sunday menu from midday - 10pm that costs £19.50 for adults, and is definitely worth checking out - though you'll have to book in advance for that as they sell out pretty quickly. I'm so glad there's another great dim sum restaurant in London as I really can't get enough!! 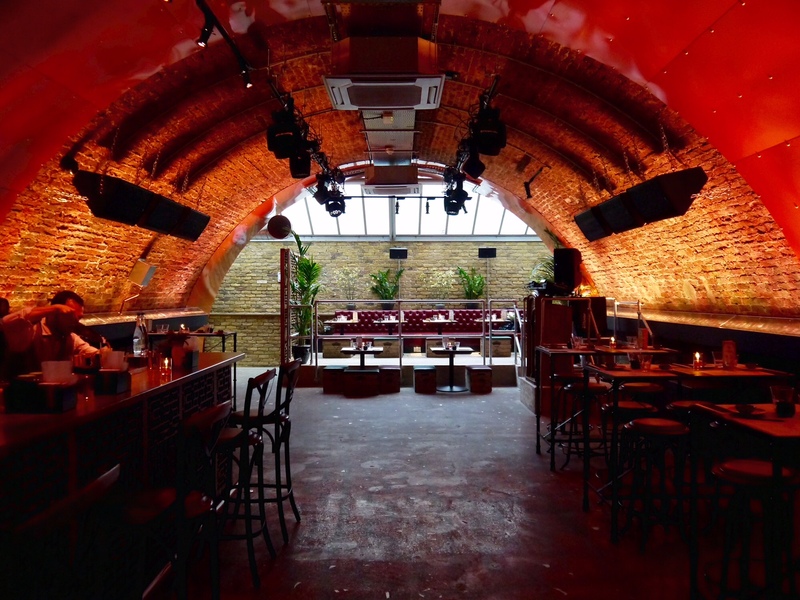 It's a fab venue and I reckon it gets really fun and lively late at night. 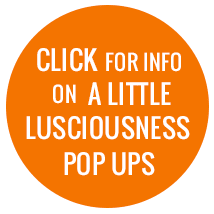 You should definitely check it out. 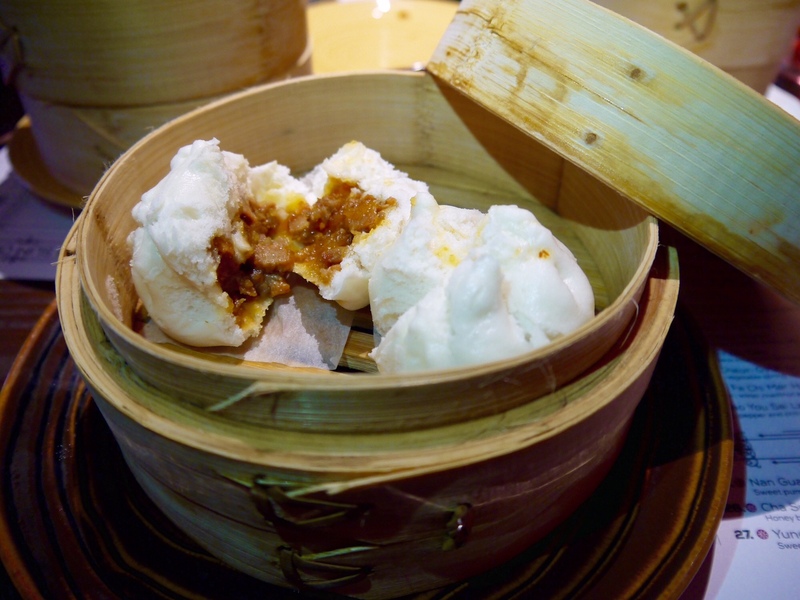 I tasted Cha Sui Bao - honeyed barbecue pork in a fluffy bun in a Dim Sum restaurant and it was heavenly delicious. 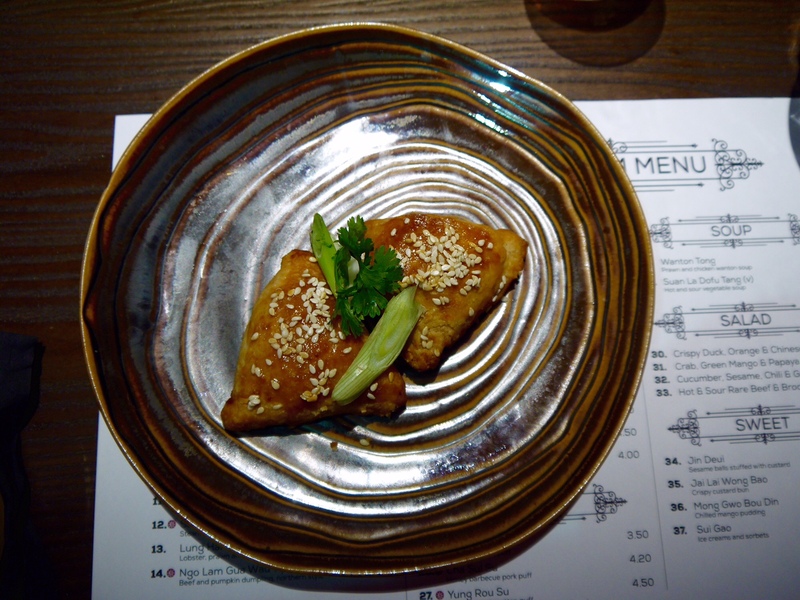 I am impressed by Cha Sui Su - honey barbecue pork puffs too. Your photos are amazing. Mmm I love the honey bbq pork puffs! Thanks! It's definitely worth a visit Andrea. Great dim sum, and huge portions! !